Senior printmaking major Morgan White and printmaking professor Laura Bigger attended the SGCI conference 2019 in Dallas, TX. 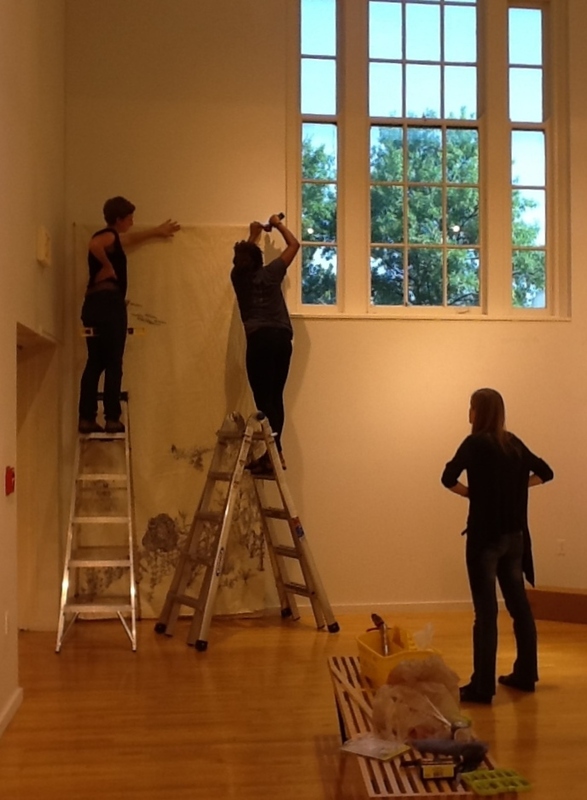 Both participated in the open portfolio sessions, attended panels, lectures, demonstrations, and visited many printmaking exhibitions. Friday the 4th of May is the last day of classes. 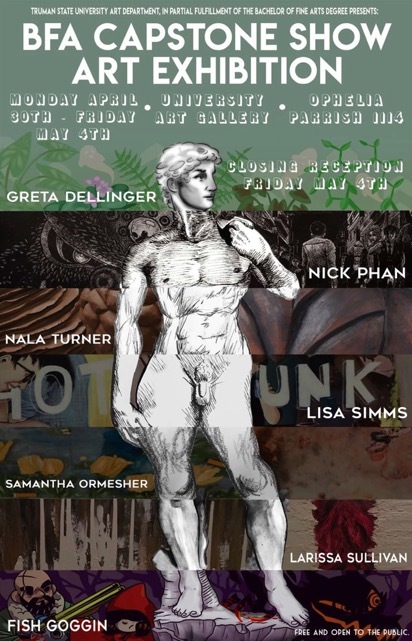 Come out and celebrate with senior studio art majors as they host the reception for their exhibitions. 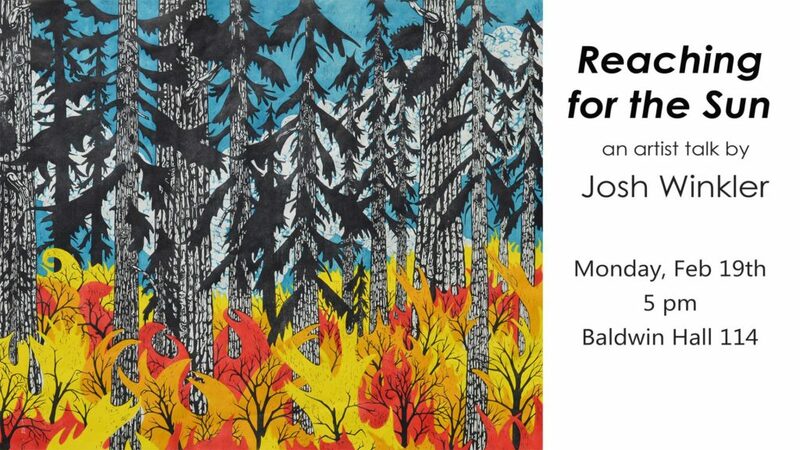 The shows will be up in the University Art Gallery from Monday, April 30th, to Friday, and the concluding reception is Friday, 6 pm, in the Gallery. 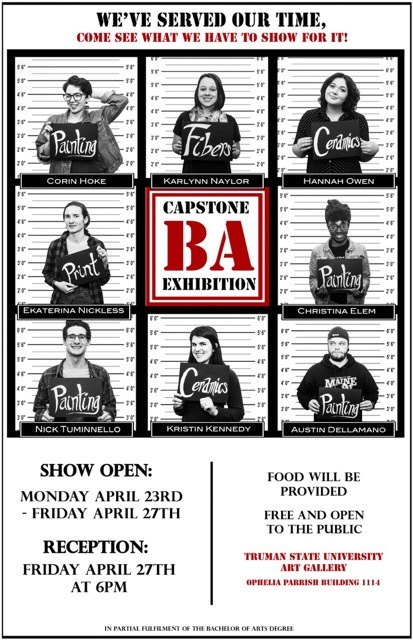 Friday at 6 pm come and join the graduating BA students to celebrate their capstone exhibition, which is on display in the University Gallery until that evening. 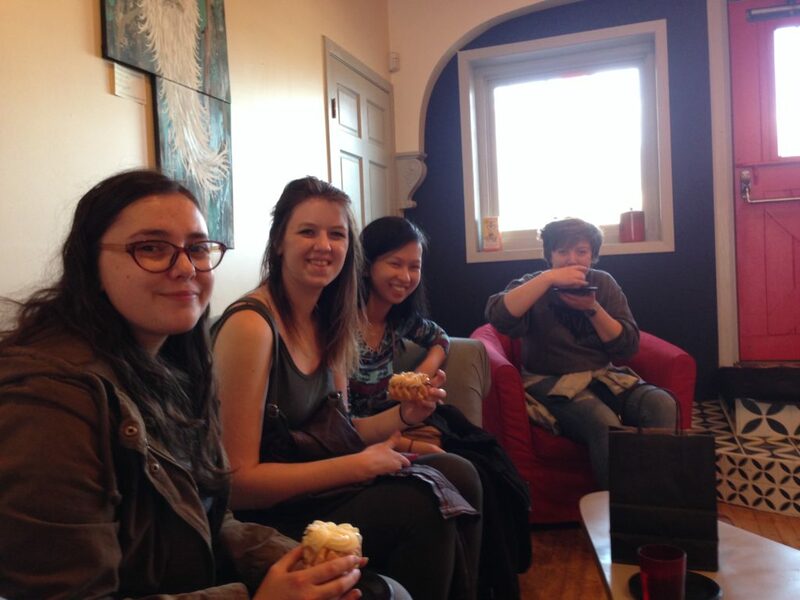 Help us congratulate the students on completion of their degree (and enjoy some lovely snacks while you do)! 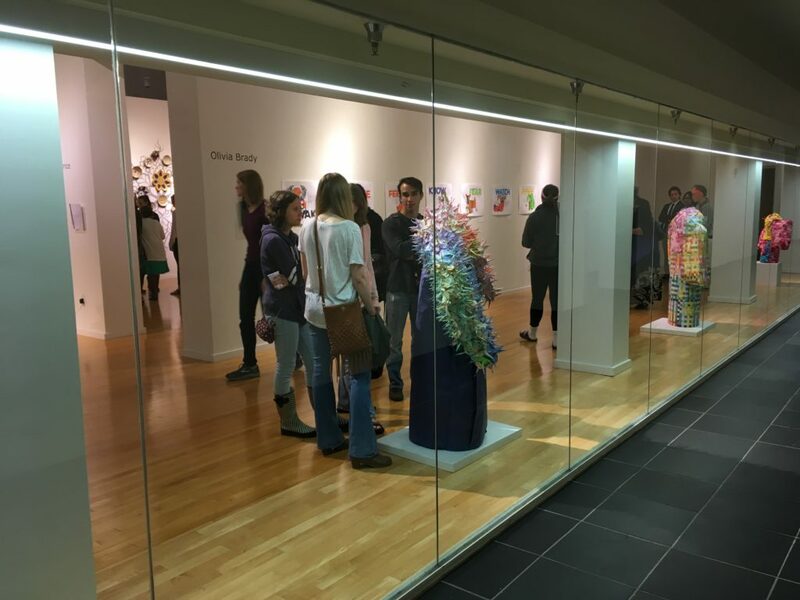 In the dark of February we welcomed visiting artist Josh Winkler, Assistant Professor of Printmaking at Minnesota State University – Mankato. 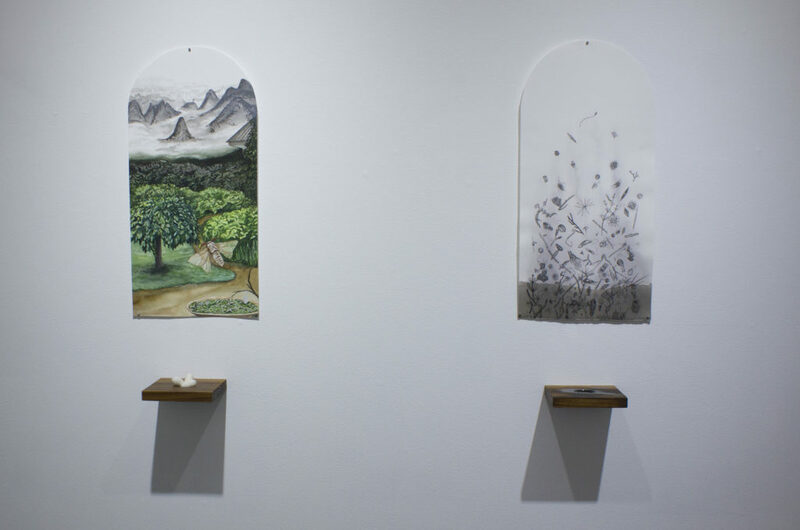 He received his MFA from the University of Minnesota in 2010, and has since spent his time creating works on paper, running a small gallery, building a stone cabin, and exhibiting work nationally and internationally. 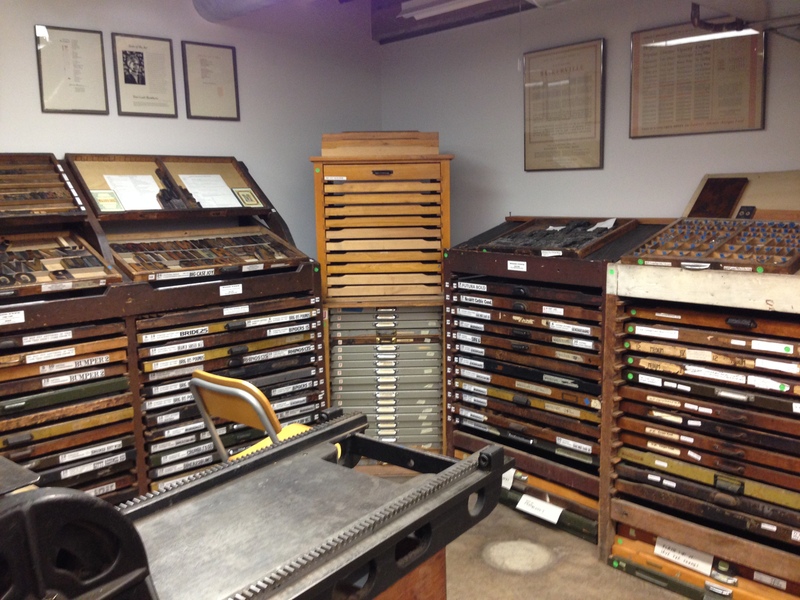 In addition to a lecture about his work titled “Reaching for the Sun,” Winkler met with students in Printmaking classes. His current artwork reflects his interest in how humans manipulate and label the land and how time, politics, and social change alter the context of both natural and inhabited locations. 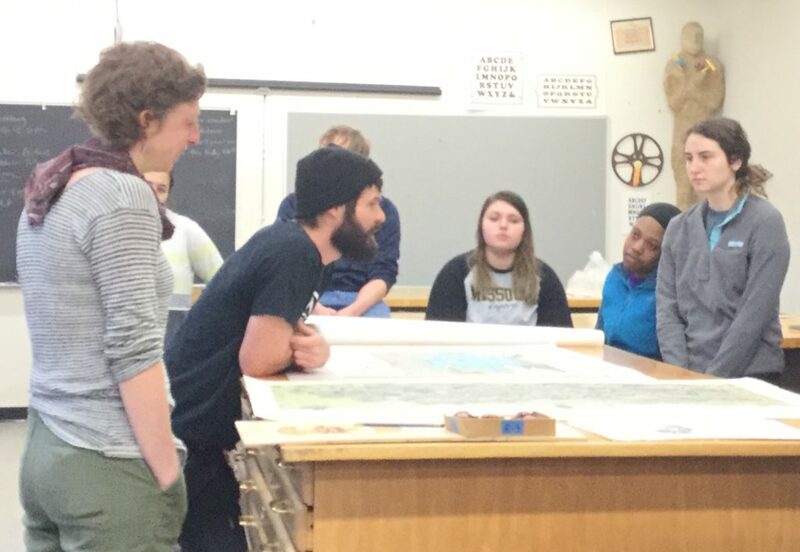 Josh Winkler meets with students in Laura Bigger’s printmaking class. 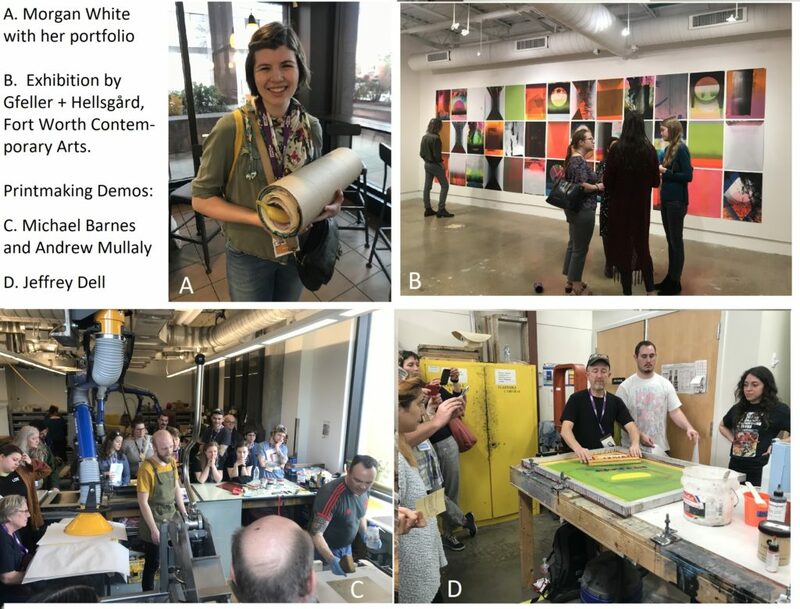 In April, during the last full month of the (academic) year, art students Jennifer Reagan, Nick Phan, Claire Nipper, Morgan Price, Morgan White, Greta Dellinger, Cassie Koelling, and Madi Pearson all went on a trip with Professor Laura Bigger, our printmaking instructor. The trip took them all to the Minneapolis Institute of the Arts and its Print Study Room, Cave Paper, The Minnesota Center for Book Arts, The Walker Art Center, Midway Center for Contemporary Art, two graduate programs (at the University of Minnesota and the Minneapolis College of Art and Design), Leg Up Press, and the Highpoint Center for Printmaking. They also made requisite stops to eat doughnuts and yummy food. 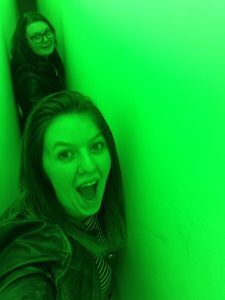 Professor Bigger herself writes that this summer she will be heading to Documenta and Berlin to research a study abroad trip for the Art Department. She will also mount an exhibition at The Holland Project in Reno, Nevada, and the Silverwood Park Gallery in St. Anthony, Minnesota. We hope to have pictures from those adventures in the fall. 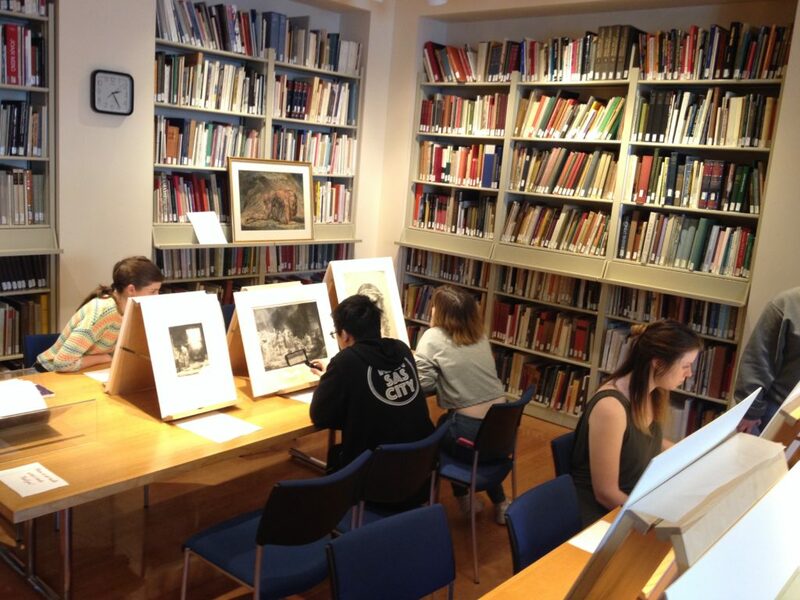 Students completing their degrees with the BA: Liberal Arts major took over the University Gallery last week to show their work in their capstone classes. 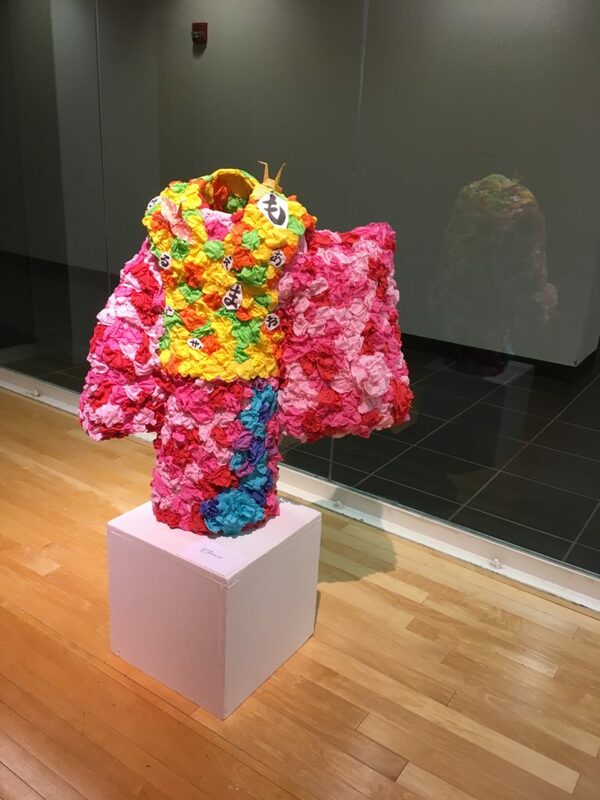 The students whose art was featured were Olivia Brady (printmaking), Akari Kinjo (fibers/sculpture), Sabrina Lavezzi (printmaking), Hannah Nicks (ceramics), Morgan Price (ceramics), and Allyson Uhles (ceramics). The reception to celebrate their exhibition was held on the Friday of their week in the gallery. These pictures show some of the work and visitors enjoying the shows. 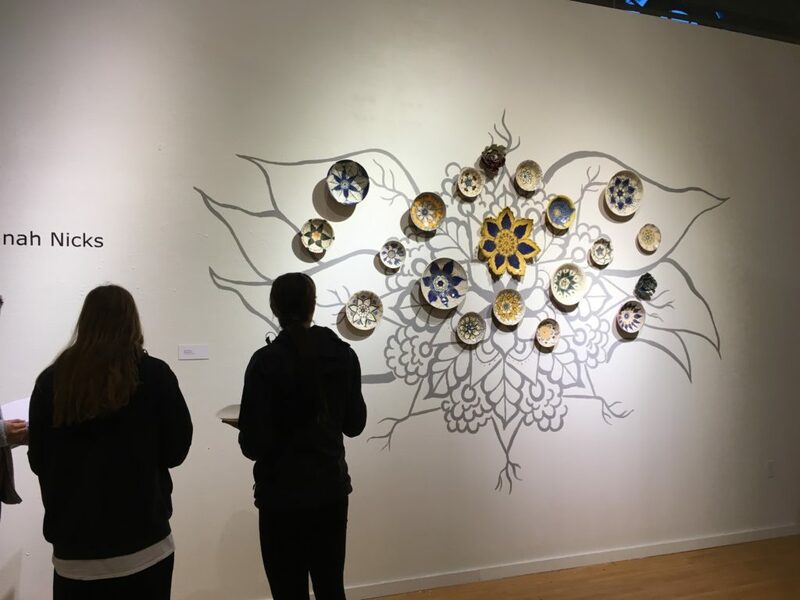 Hannah Nicks’s plates on a painted wall made the ceramic work into an elaborate design of which they were only a part. 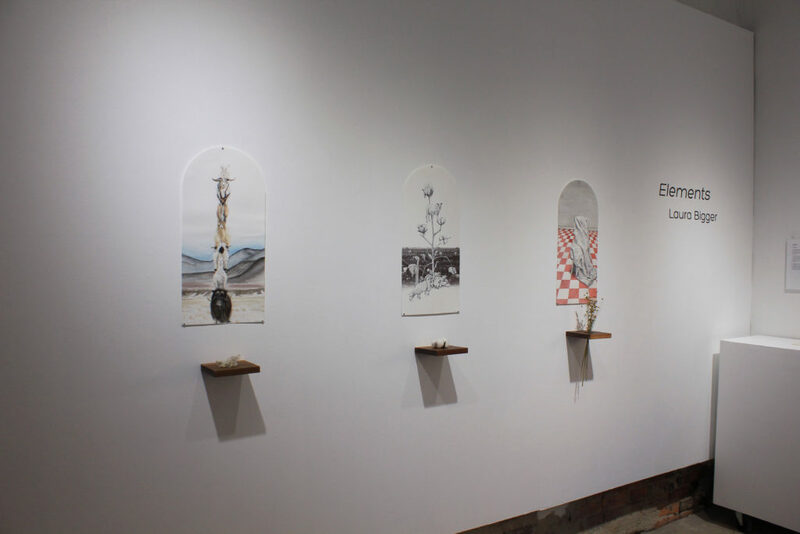 Professor Laura Bigger has sent us photographs of her exhibition, “Elements,” at the Frontier Space Gallery in Missoula, Montana, installed in early March. Congratulations! 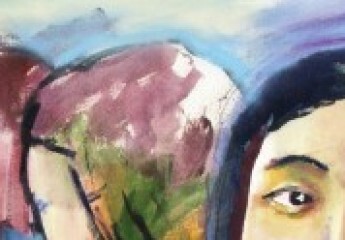 The Index, Truman’s student newspaper, featured articles on two Art Department professors in their March 24th edition. Jim Jereb was featured in a tribute article about his retirement. Jim, who has taught at Truman for 26 years, will be moving to Big Horn, Wyoming, to take up a curatorial position at the Brinton Museum there. 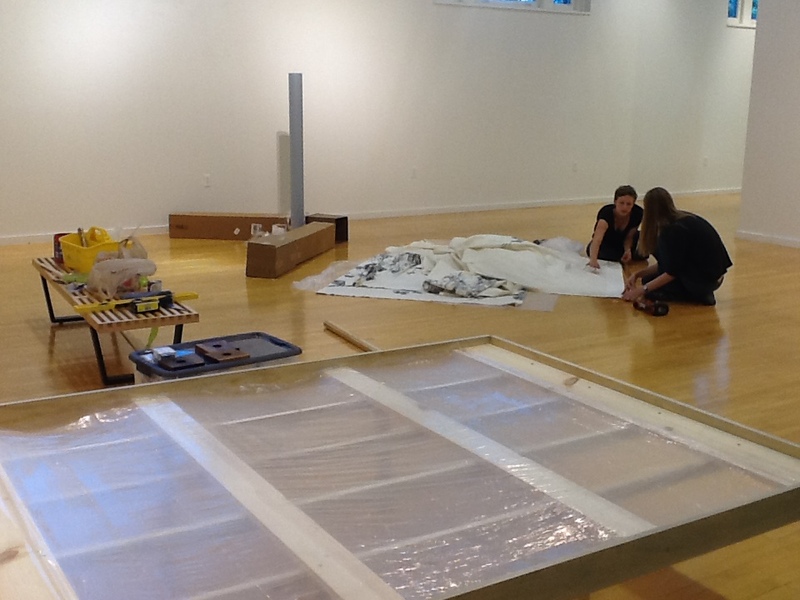 He will also head the printmaking section of the museum’s new education center. 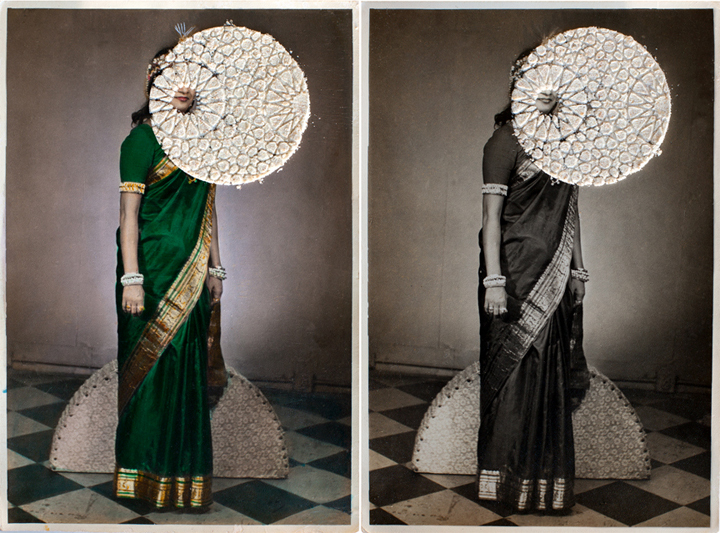 The second article featured Priya Kambli, our professor of photography, who presented her work at the St. Louis Art Museum. The symposium, “If it Wasn’t for the Women: Women of Color Behind and Through the Lens,” was a Women’s History Month event. “If It Wasn’t for the Women” is a free annual program that brings special attention to women of color and their experiences in the arts. This year the focus was on photography. 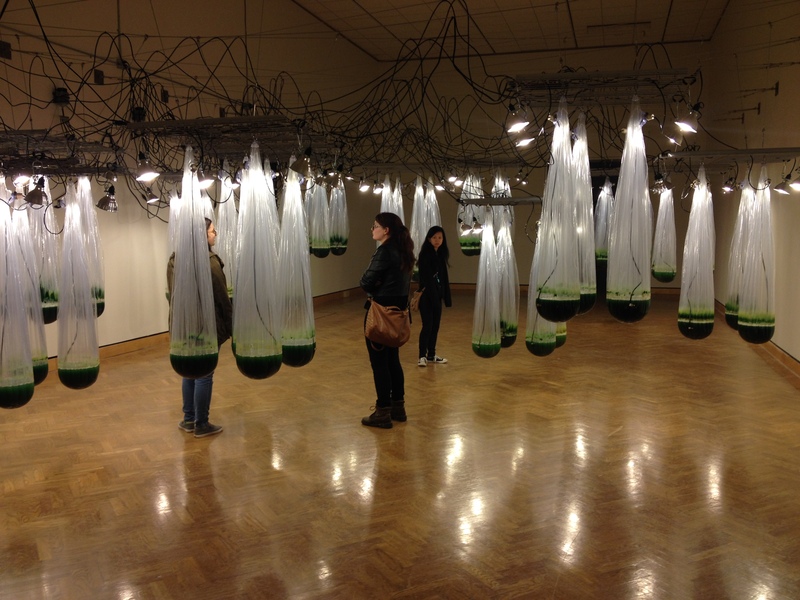 Mami 2015: A recent work by Professor Priya Kambli.